If you want to work in the cruise industry but do not want to have a nomadic lifestyle, you can work in the headquarters of a cruise company. Employees of such companies get certain travel benefits. 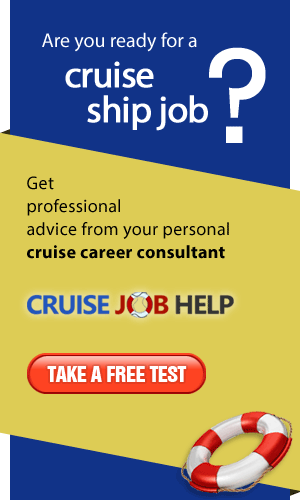 Office experience can help you if you decide to get a job on a cruise ship later. It is extremely difficult (but not impossible) for most non-US citizens to get office jobs in the USA. These positions deal with anything related to passenger entertainment and are the most popular among job-seekers: host and hostesses, cruise directors and staff, disc jockeys, performers, swimming instructors, shore excursion staff. These positions are usually filled by native English speakers. These are positions in the restaurants, bars, passenger cabins and retail: waiters and waitresses, bar tenders, cabin stewardesses, cooks, bakers, cleaners, gift-shop assistants etc. These employees deal with the spa facilities, beauty shops and health care: salon operators, beauticians, medical staff, massage therapists and fitness instructors. A hierarchy still exists in the cruise ship world and there is a definite difference between crew, staff, and officers onboard any cruise ship. 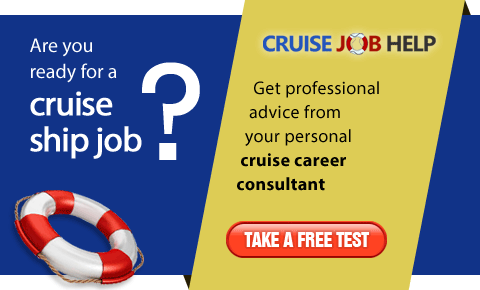 Find out more: Job Hierarchy Onboard a Cruise Ship.